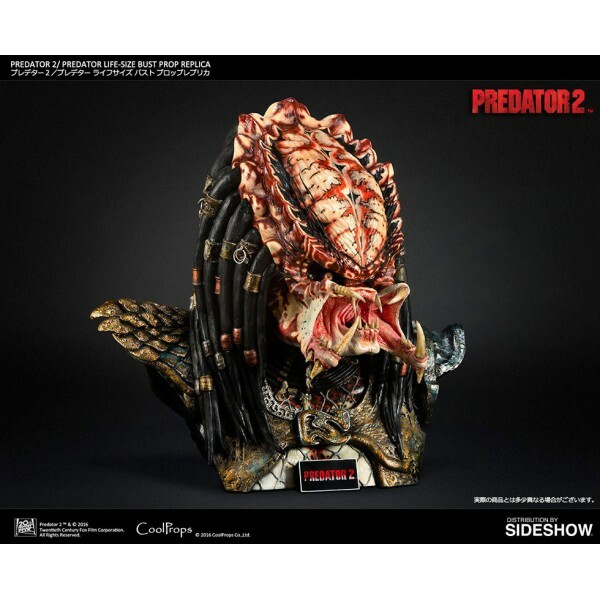 I agree to pay minimum 10% non-refundable deposit for this item. 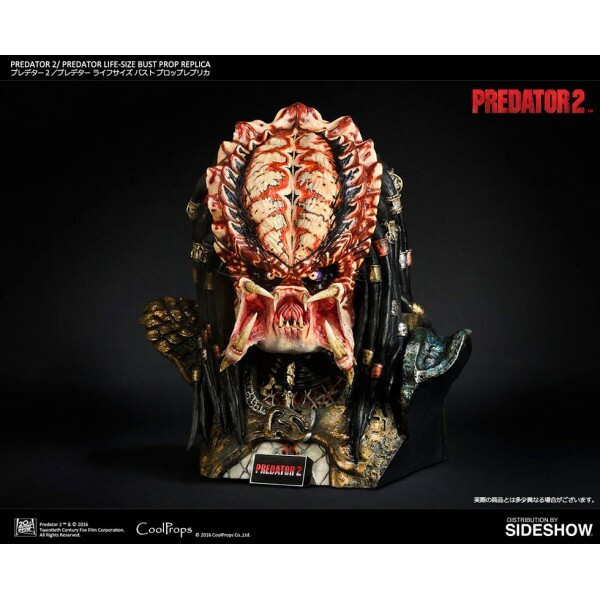 I understand the release date of this product might be delayed by manufactory. 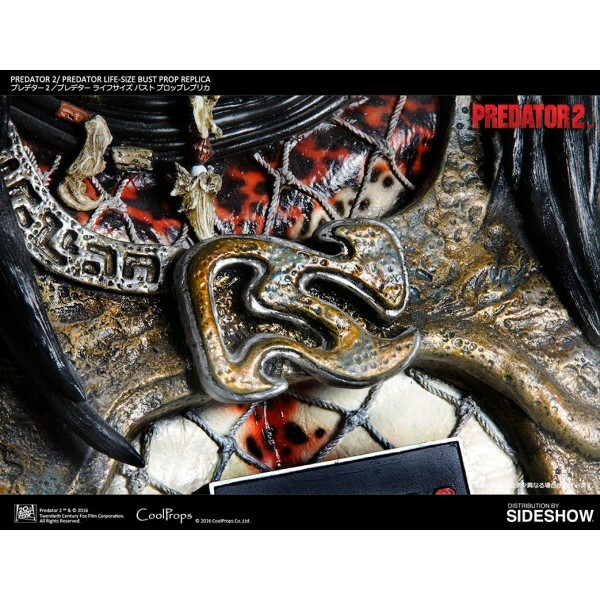 Share this item with your friends? 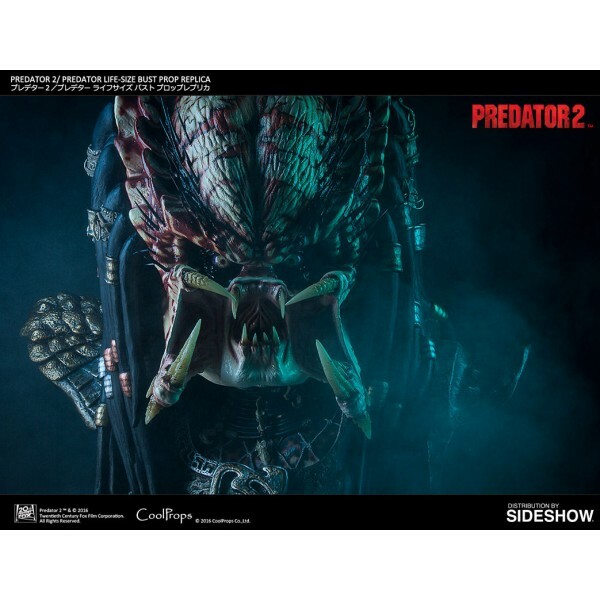 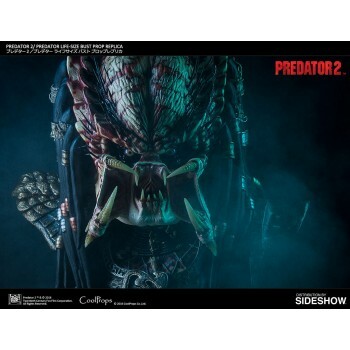 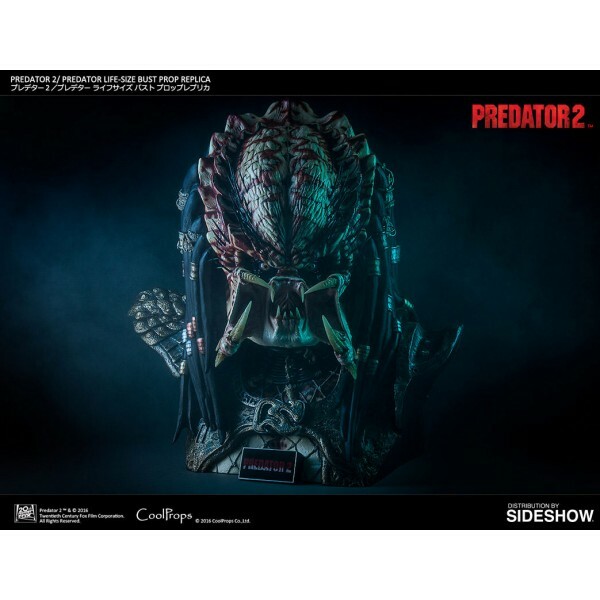 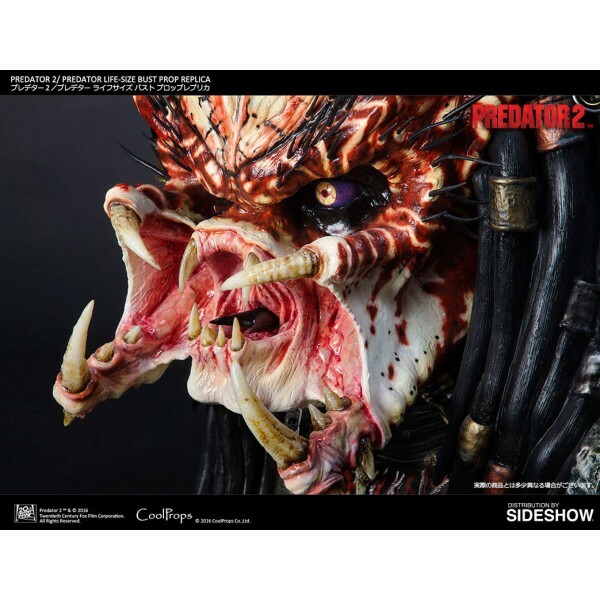 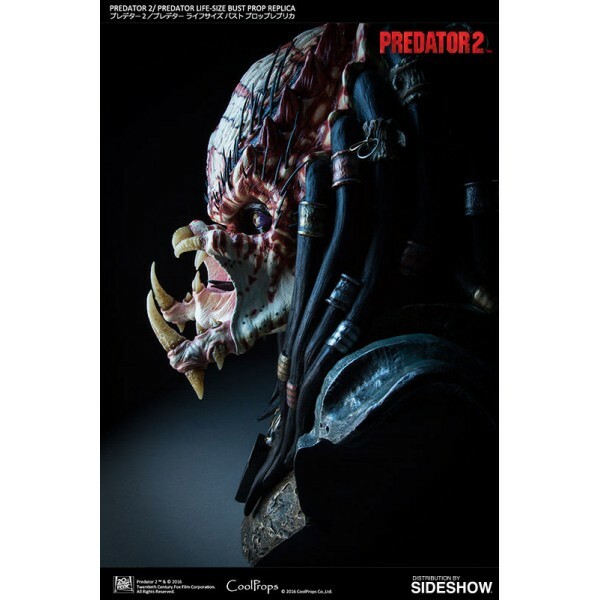 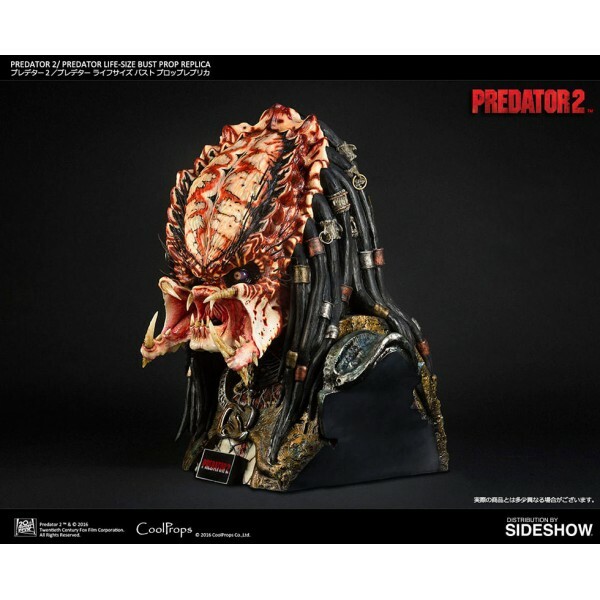 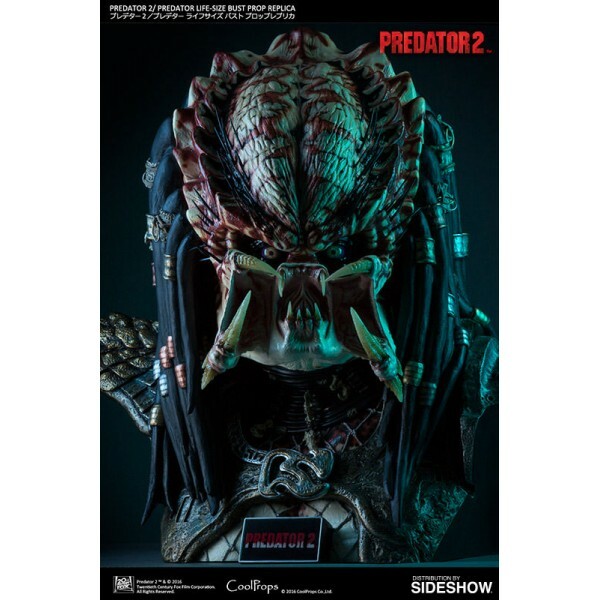 Sideshow and CoolProps are proud to present the Predator 2 Life-Size Bust Prop Replica from the 1990 movie Predator 2. 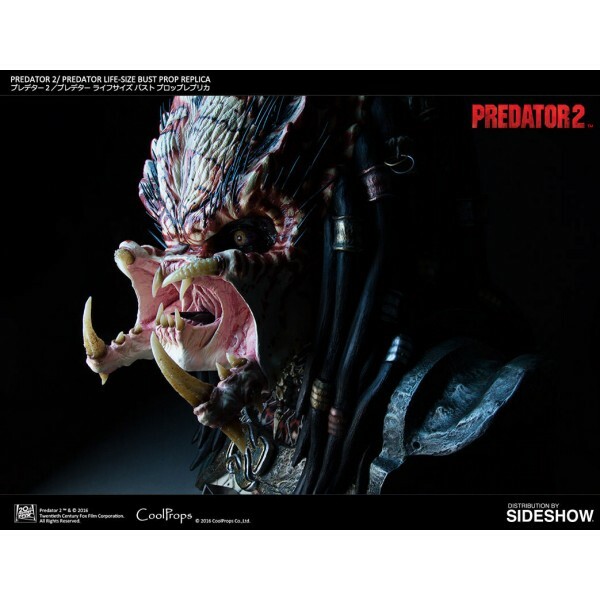 This predator puts the citizens of the city of Los Angeles in a huge panic. 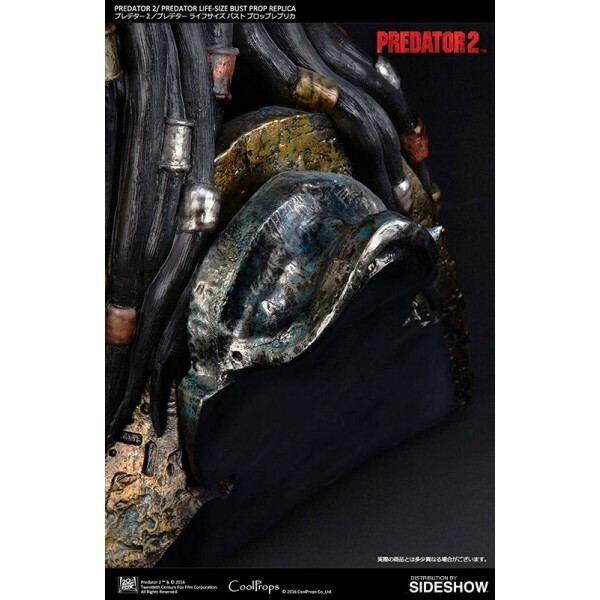 By utilizing resources from the movie-used suit that Kevin Peter Hall wore, they were able to commercialize the true face of a predator. 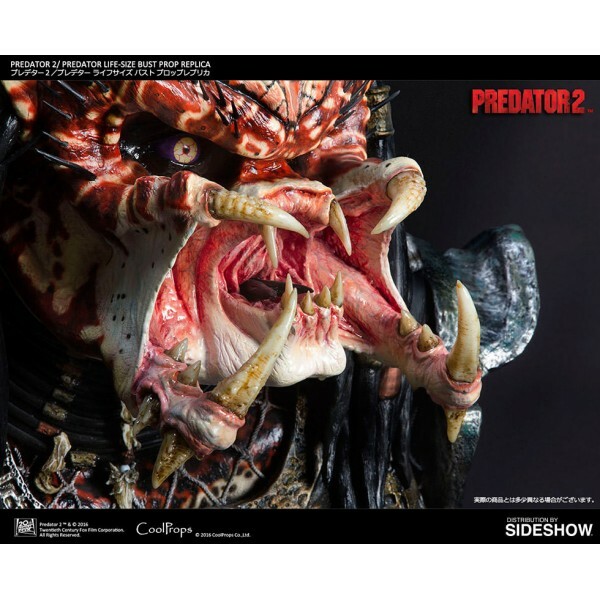 CoolProps has recreated the characteristic paint of his face based on the color pattern seen in the movie. 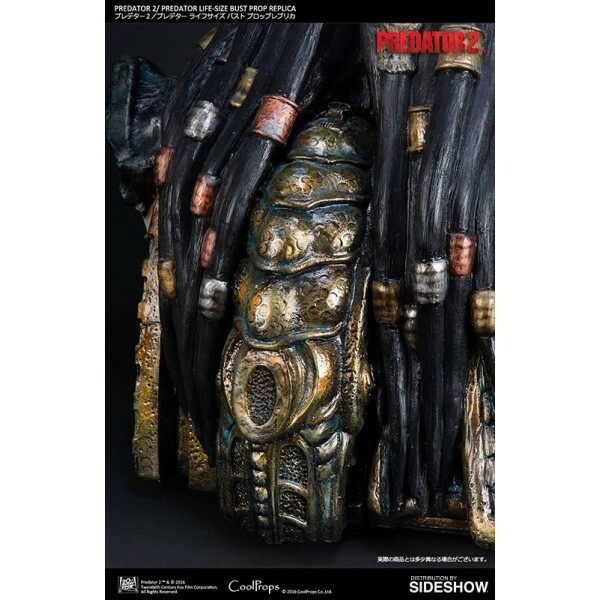 Every inch of dreadlocks from the original movie-used prop was measured and artists used 6 different kinds of thoroughly restored dread rings. 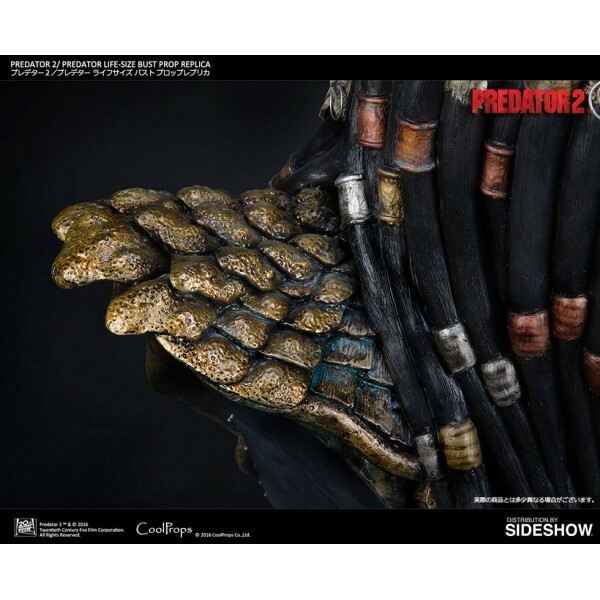 All details were based on the original movie-used prop from Stan Winston Studio. 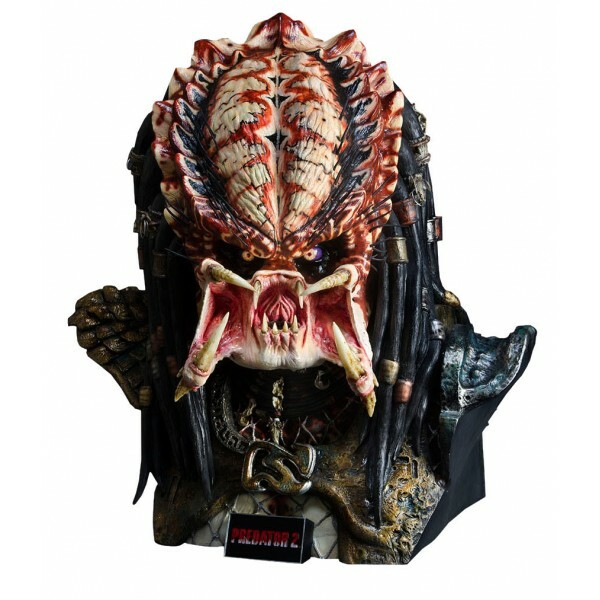 Paint tint was restored from 26 years ago when the actual movie was filmed. 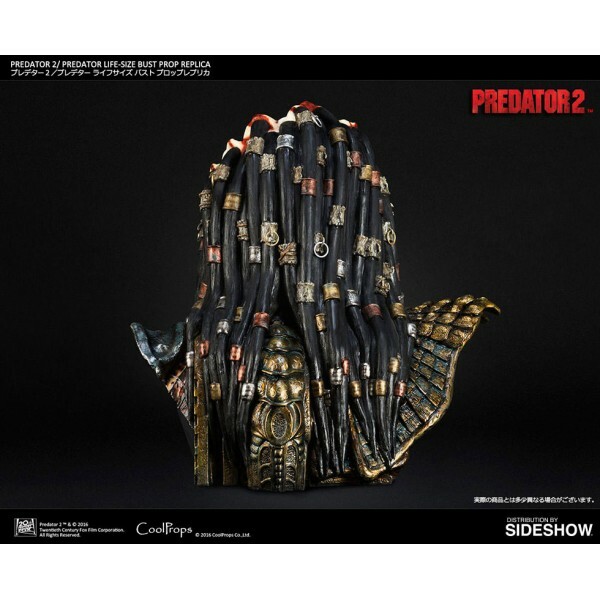 Artists at Coolprops analyzed animal bones, which were used for decorations, and restored their shapes.